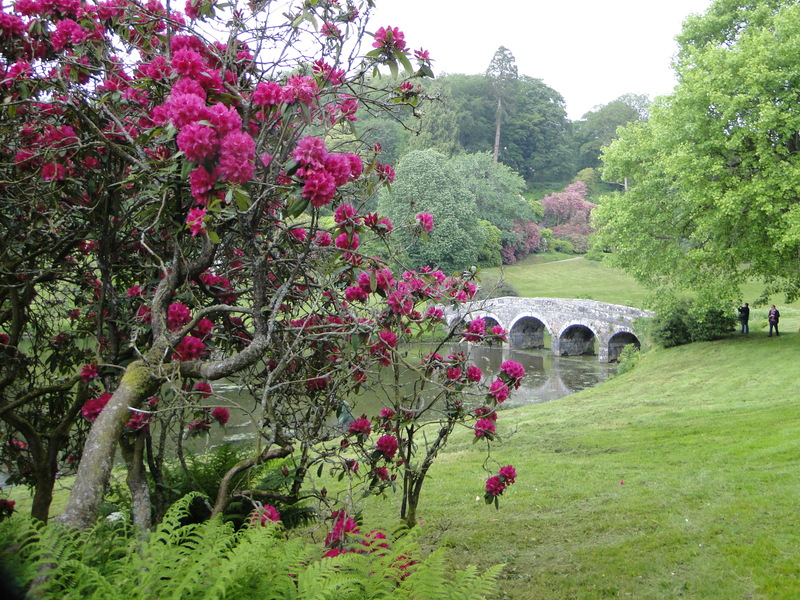 One of the most beautiful National Trust properties is Stourhead. We met our friends Geoff and Anne here on Tuesday 3 June and walked round the Lake. It is not very easy to push Julie’s wheelchair round, on occasions we needed a banking engine, but we managed – with plenty of sits. 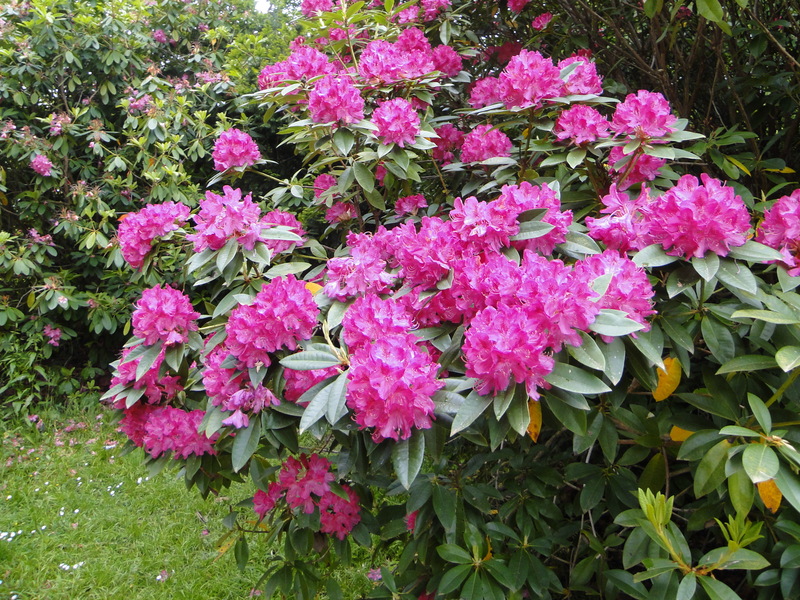 The weather was not brilliant, we got quite wet on a couple of occasions, and the sun never really shone brightly until we were leaving – but we hadn’t got the energy to go round again! 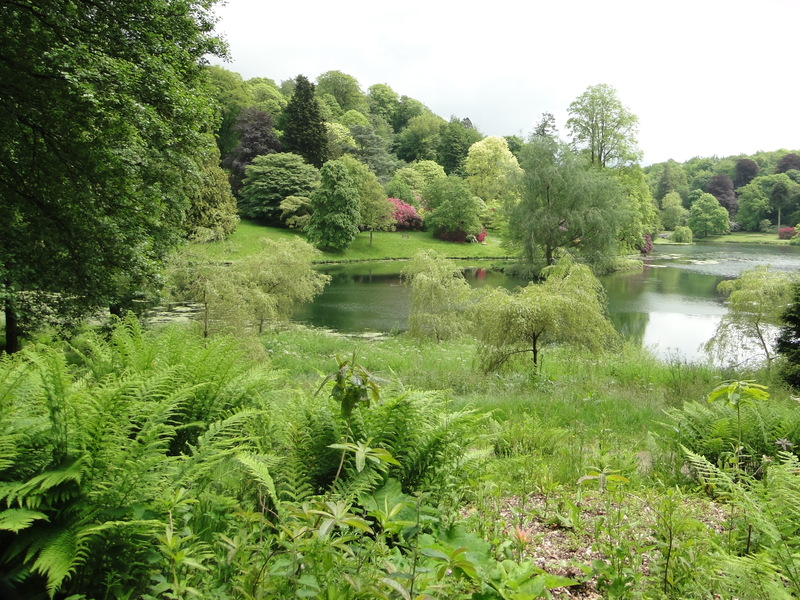 In 1717 the medieval Stourton Estate was bought by Henry Hoare (known as “Good Henry”) in 1717 for £14,000. 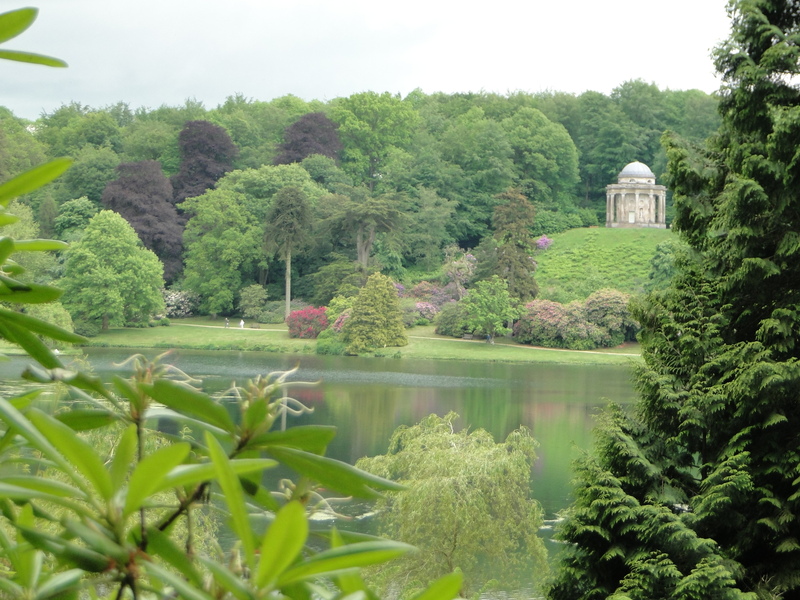 He renamed it “Stourhead”. He was a partner in the family bank Hoare & Co., set up by his father in 1673 in London. This was to be his country estate. The house was built “as a statement of fashion and good taste”, but died before it was finished. It was completed by his wife and son, “Henry the Magnificent”. HtM inherited the estate in 1741 when his mother died and began work three years later on a new garden with architect Henry Flitcroft. 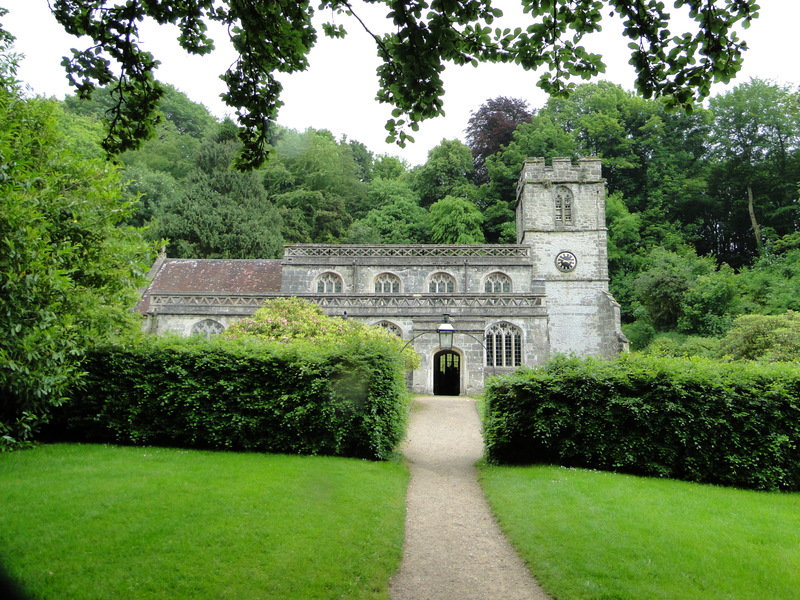 They used the natural valley of the Stour, dug the Lake (well, they didn’t dig it themselves), planned the walk, built the temples – it was completed by 1770. 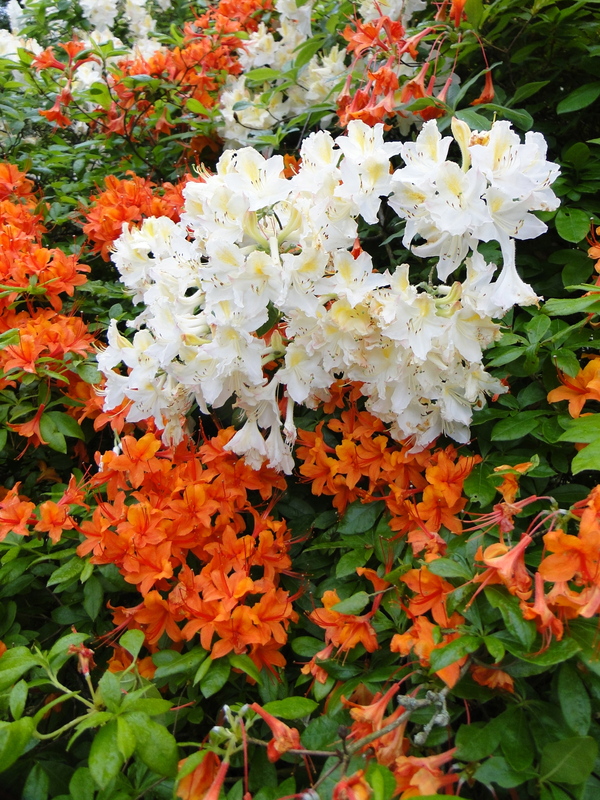 Its famed spread widely and it became a must see destination. 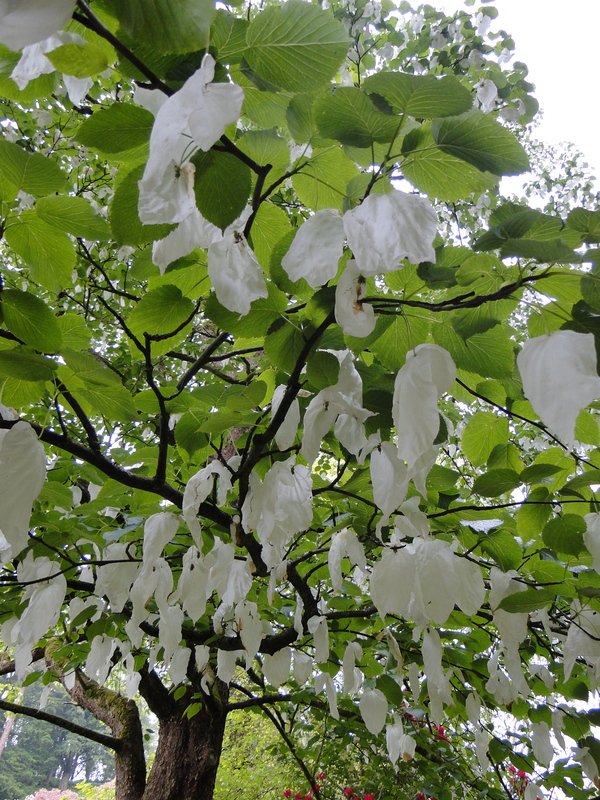 They were restored in the early C20 by Sir Henry and Ada Hoare, and they had inherited a “title and ownership of a neglected, overgrown and unloved estate in a distant corner of the Wiltshire countryside.” They restored the pleasure gardens, cleared the laurel from the Grotto, and made the place beautiful again. 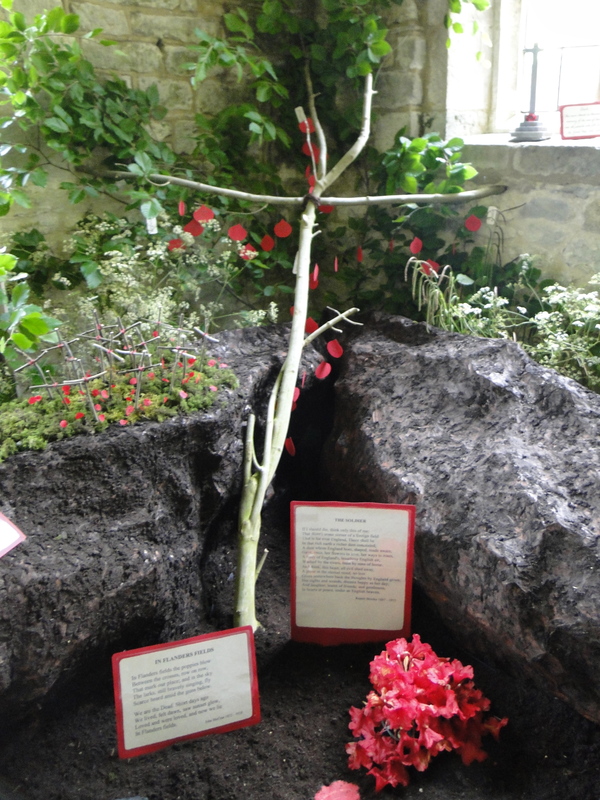 Having walked round the beautiful gardens, we passed the Bristol Cross and went into St Peter’s church. The cross was erected in 1373 at the crossroads of the four major streets leading into the city. It stands 39 feet high and originally had niches for Kings John, Henry III, Edward III and Edward IV. In 1491 the city spent £20 painting and regilding it. In 1633 they added Henry VI, Elizabeth I, James I and Charles I. 100 years later it was causing an obstruction, so it was taken down and put into store. There were protests, so it was re-erected on College Green, land owned by the Cathedral. 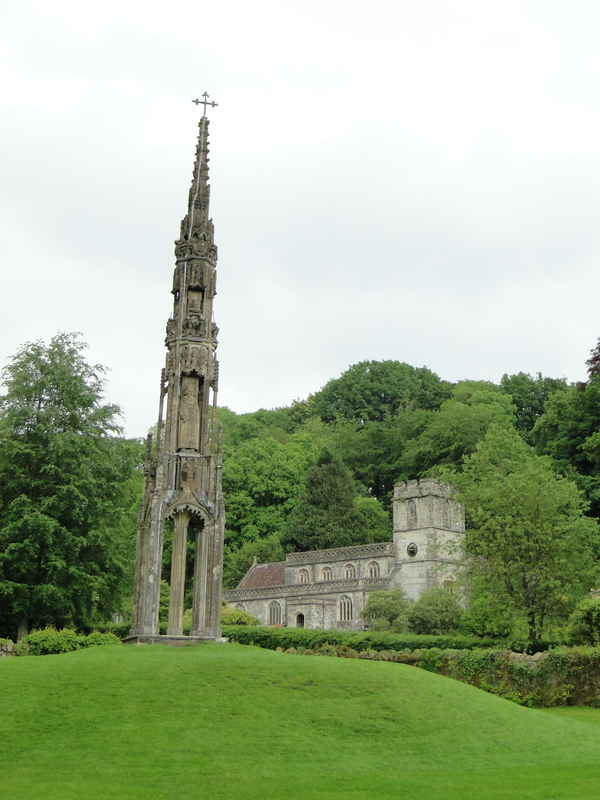 In 1765 the Dean gave it to Henry Hoare to ornament Stourhead garden. The earliest record of a church here dates from 1291, and it seems likely that the north nave arcade and tower date from that time. 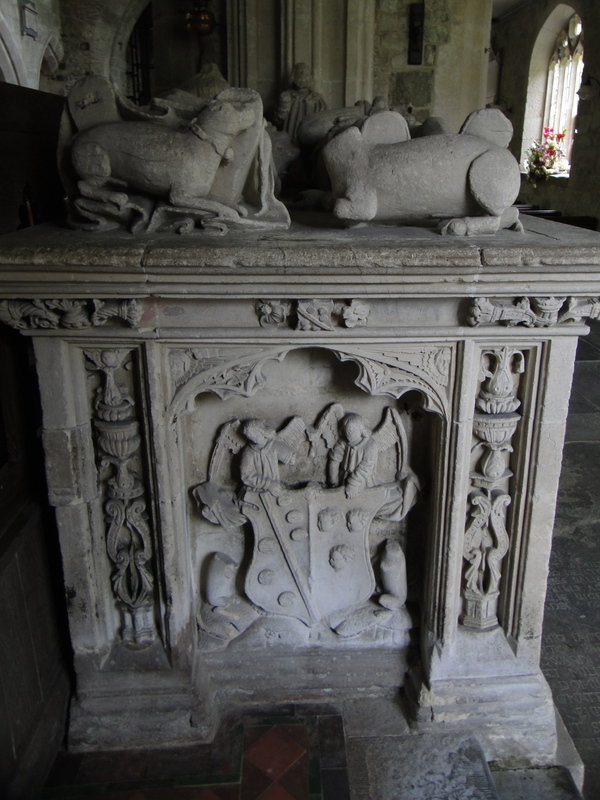 The lords of the manor were the Stourton family, and their family vault is under the present north aisle. 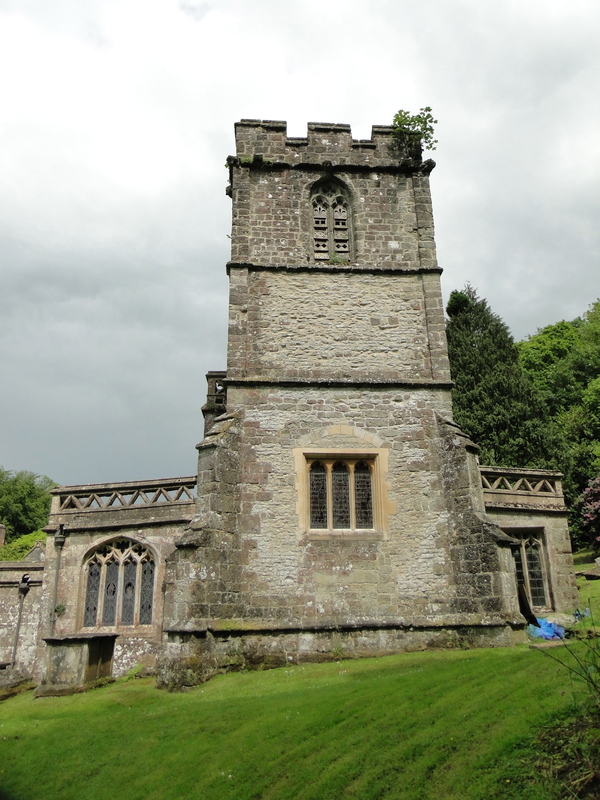 In 1717 the Stourton estate was purchased by Henry Hoare, and he renovated the medieval church in 1722. 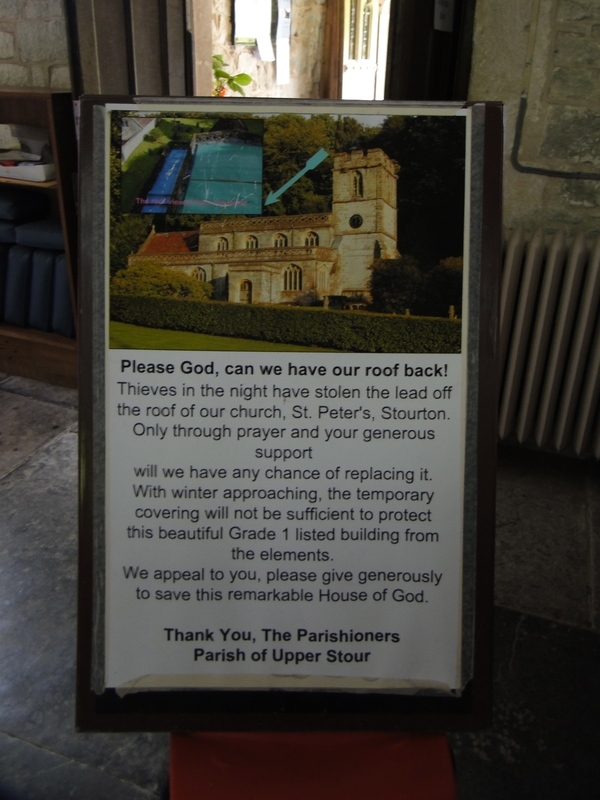 They had obviously had a flower festival recently – some of them needed clearing away – and we were greeted by a notice about their roof. 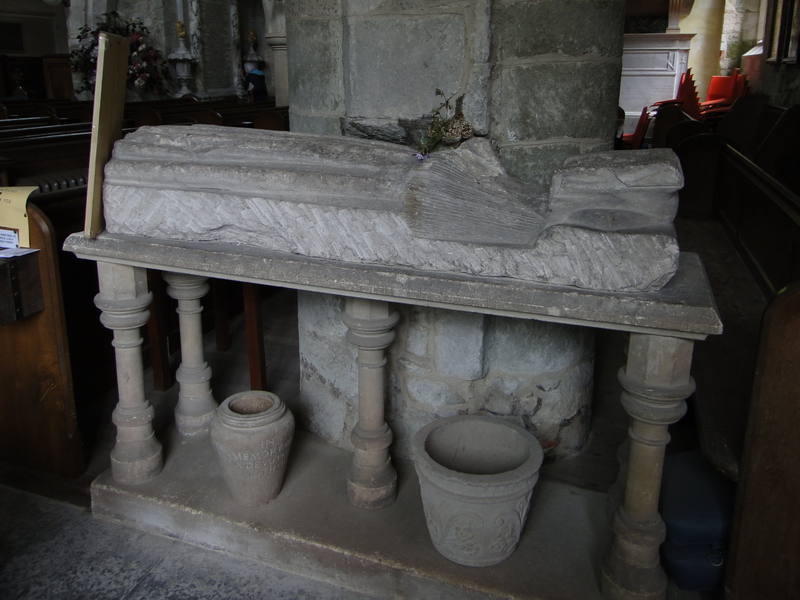 There is a Norman font, brought here from the redundant church of Monkton Deverill and a large altar tomb to the 5th Lord Stourton and his wife (circa 1536). The tomb chest is beautifully carved, with canopied niches and blind tracery in Perpendicular style. 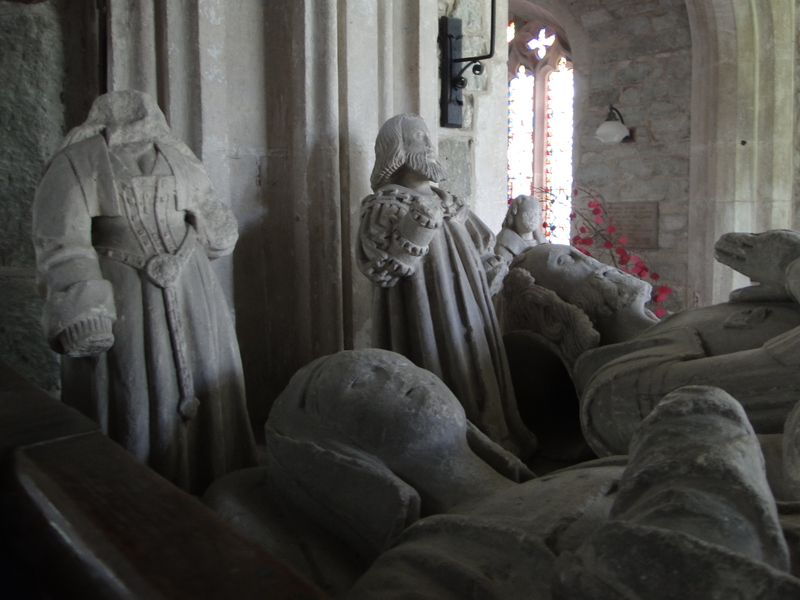 The effigy of Lord and Lady Stourton are wonderfully sculpted, with small effigies of their children kneeling in an unusual position behind the couple’s heads. 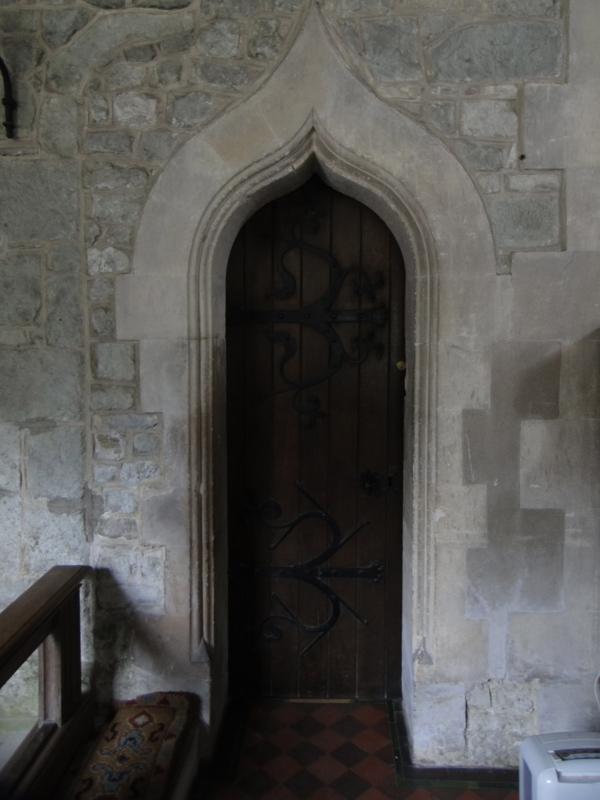 Also in the North Aisle, but to the right of the door, is a worn effigy of a woman on a stone table. 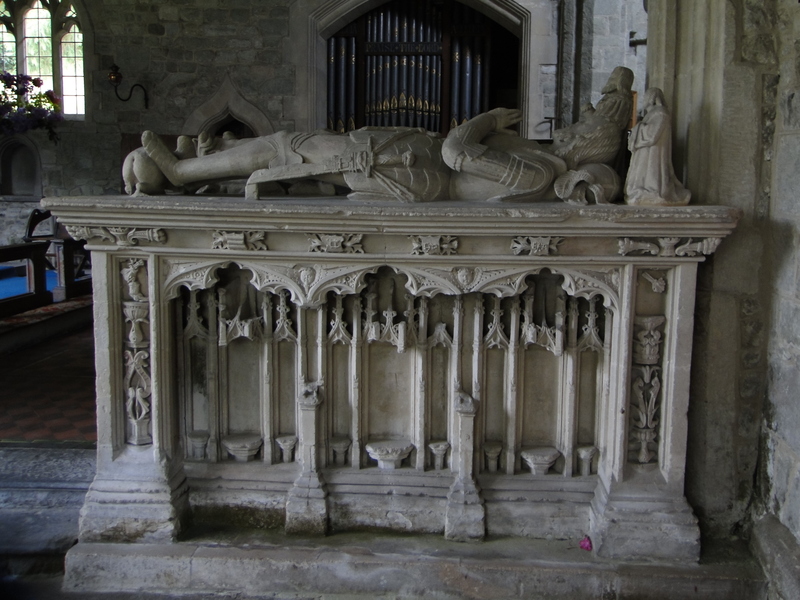 This is thought to be Lady Stourton, who died in 1403. Fragments of medieval stonework is gathered around the table base. High on the nave arcade is a gilded cartouche to Mary Ireson (died 1723). 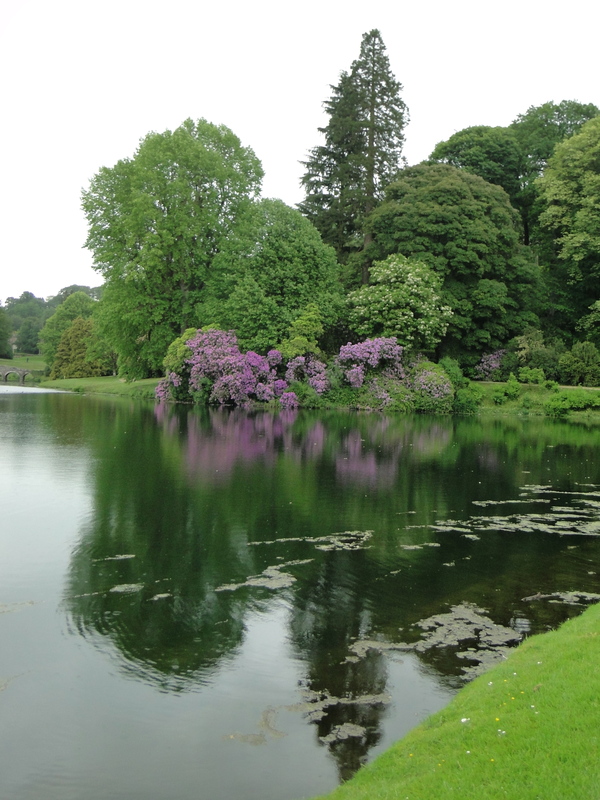 Mary was the daughter of Nathaniel Ireson, mason at Stourhead House. You very rarely see memorial tablets which are as beautifully coloured as this. 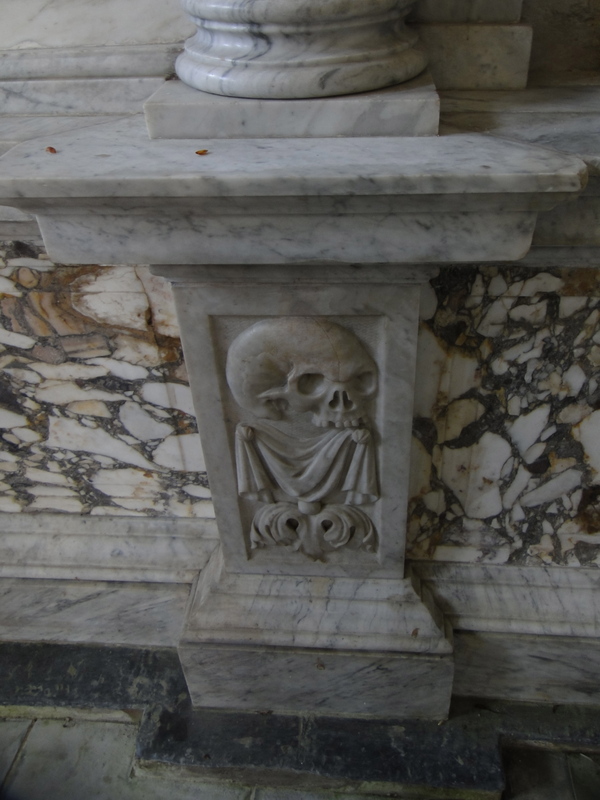 The South Aisle tombs do rather take the biscuit. 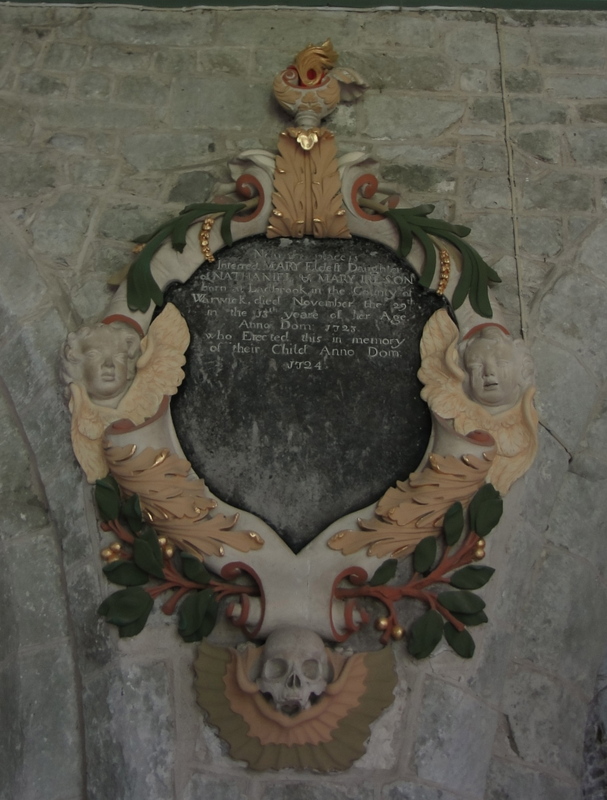 There are three extremely large Hoare family memorials in the south aisle. 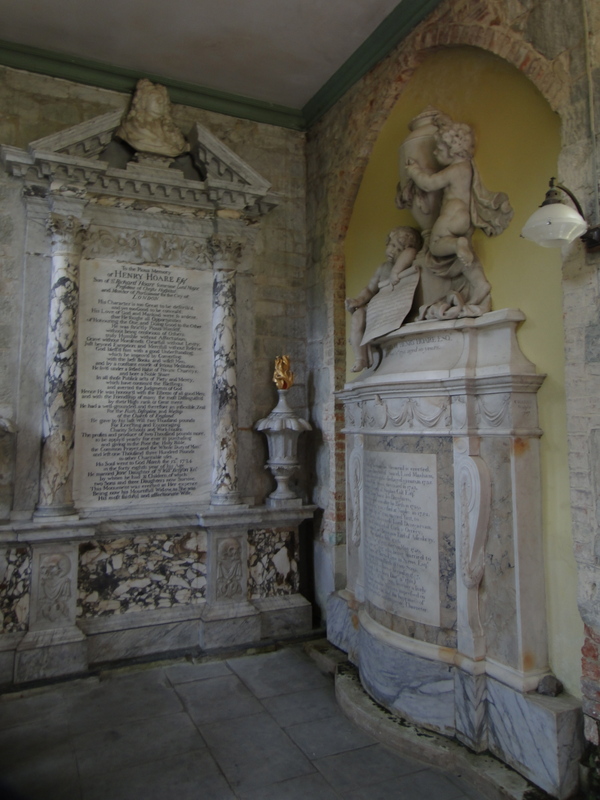 Against the east wall of the aisle is a memorial to the first Henry Hoare (died 1724), with urns spouting gilded flames, flanking a very large inscribed tablet listing Hoare’s lineage and accomplishments. I want one as impressive as this! 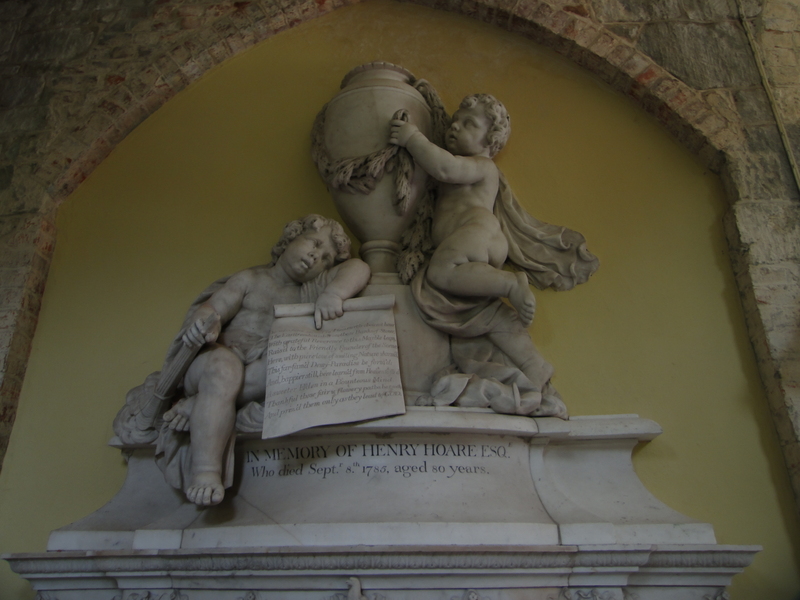 On the south wall is a memorial to Henry Hoare II (1705-1785), the creator of Stourhead Gardens. 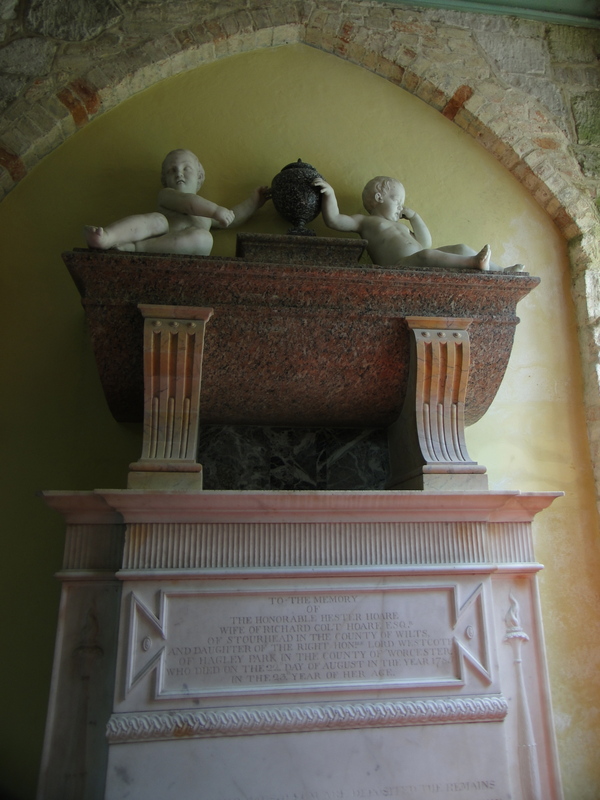 The memorial is flanked by urns, and above an inscription are two cherubs, one bearing a scroll, the other holding an urn. 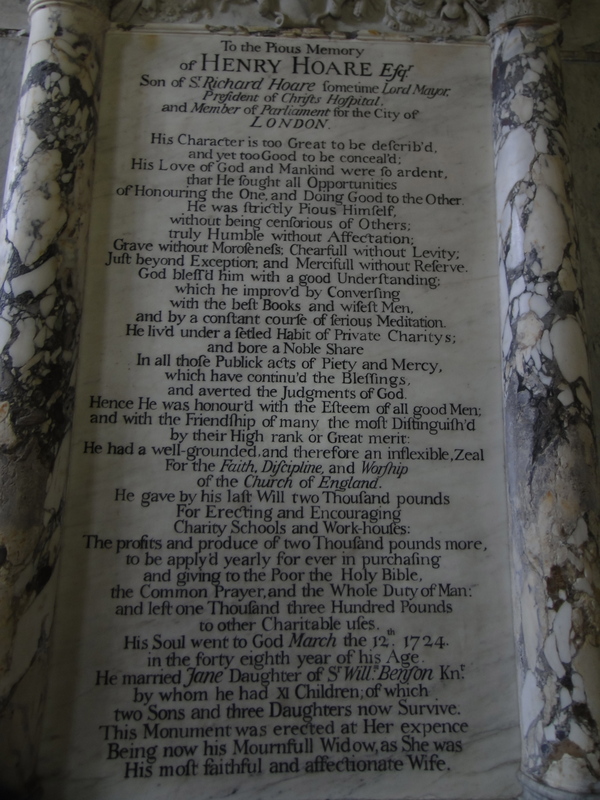 The memorial is signed by C. Harris and dated 1789. 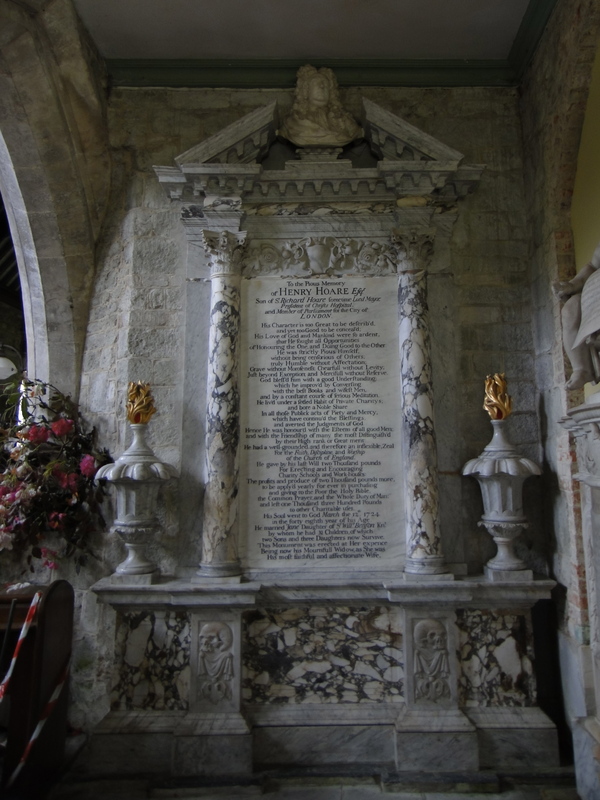 Along the wall is another monument to Hester Hoare (died 1785), erected by the antiquarian Richard Colt Hoare in 1838. Hoare built a large altar piece to span the entire east wall, and built his own family vault. 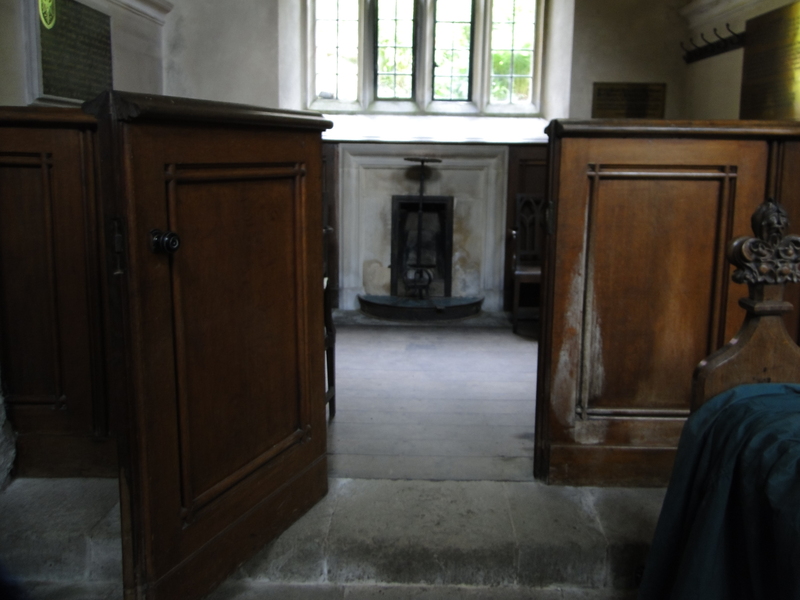 A later rebuilding in 1848 inserted a Hoare family pew, complete with its own fireplace for comfort. Imagine being the Vicar trying to preach a sermon to keep the Lord awake while he had the warmth of a fire! 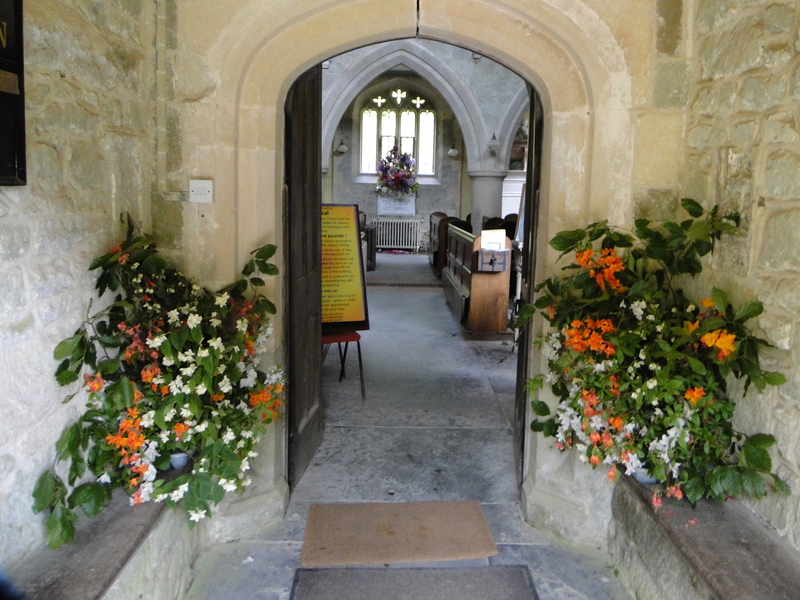 At the moment the Benefice of Upper Stour (four churches) has no Vicar. When I walked round outside it became obvious the fabric-problems that a new Vicar has to deal with. 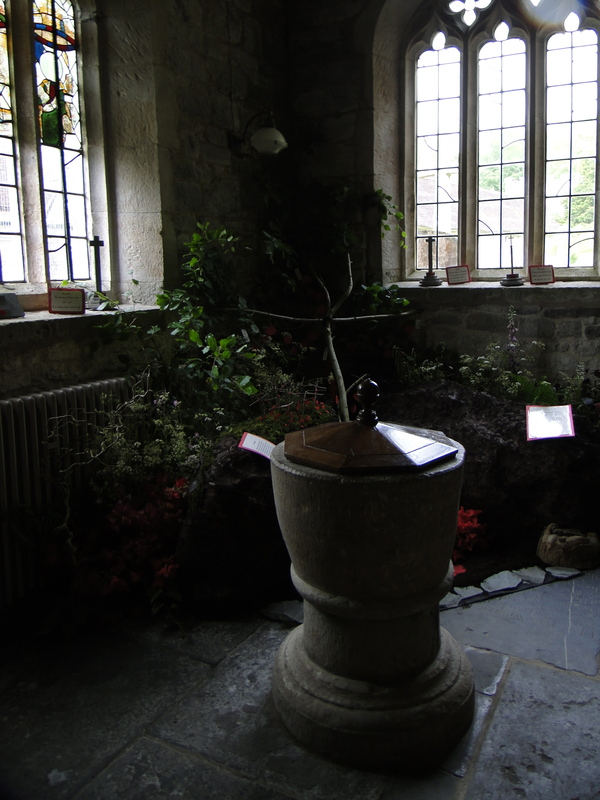 I hope that the relationship of the church and the National Trust can be of mutual benefit. One odd thing is that there is a new Church Guidebook, produced to NT standards, and only on sale in the NT shop (NOT in the church) … costing £10. I will not spend £10 on a church guidebook, and suggest a well-presented A4 leaflet at 50 p might be a good idea. 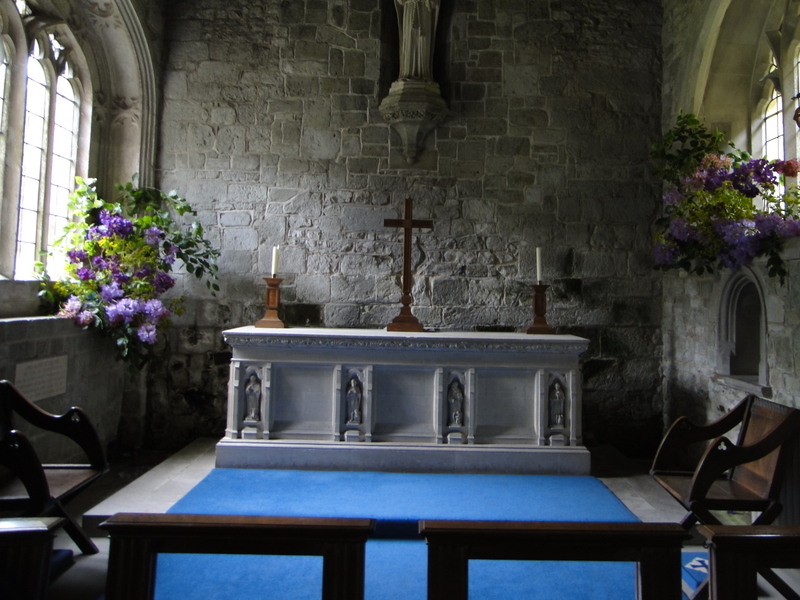 A marvellous day round the gardens, and an interesting church. This entry was posted in National Trust, Outside Northumberland, World War 1 and tagged ww1. Bookmark the permalink.